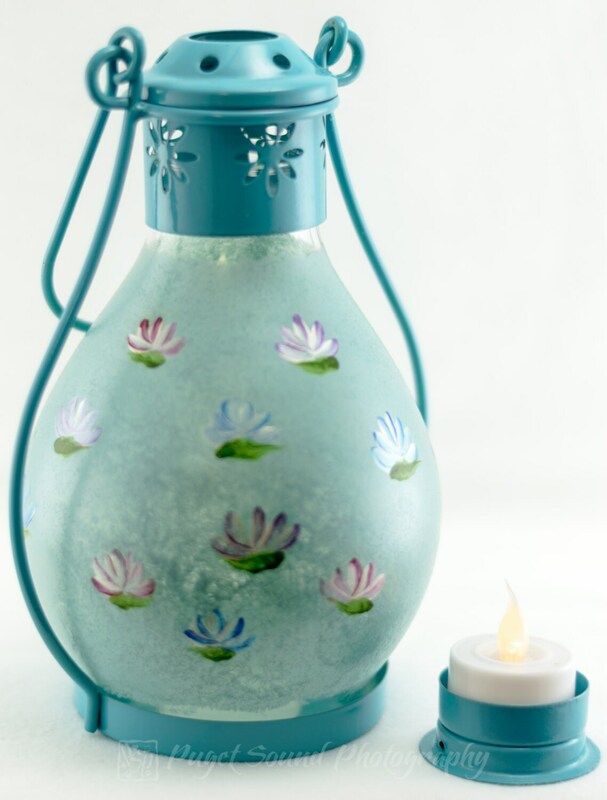 These Tea Light Lanterns come in one of three designs. 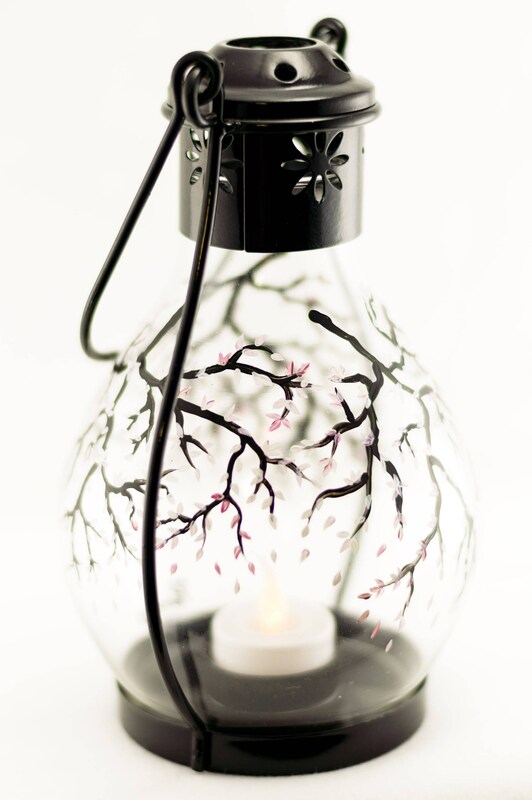 The first is a black metal coated lantern handle, clear glass shade and Cherry Blossom design. The second is Light Blue metal coated lantern handle with Caribbean blue shade with a Lotus Design. 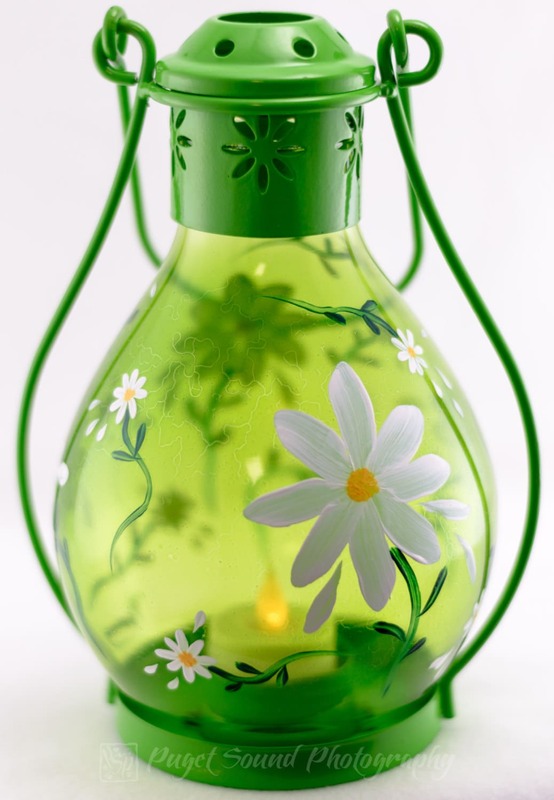 The third is green metal coated lantern handle with a yellow green shade with a Daisy Design. All hold a tealight candle and it can be removed from the bottom. The tealight holder unscrews at the bottom for easy access without opening the lantern on top. However all the pieces come apart for easy cleaning. Hand wash only to preserve as a lasting heirloom. All of items are 100% hand-painted using quality acrylic enamel paints and are cured resulting in a scratch-resistant, high-gloss finish. All are signed by American Artist Penny Firehorse. 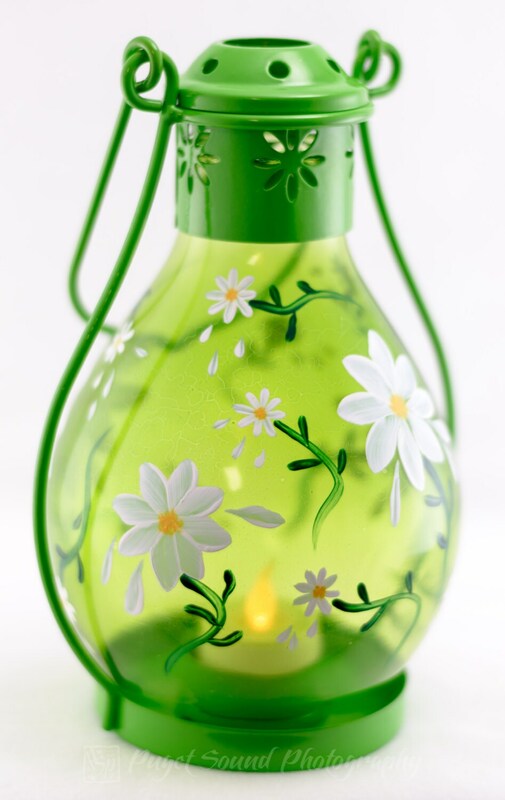 Limited supply of different color lanterns.